toothpaste,turmeric for pain and inflammation, and turmeric as a natural medicine to use instead of prescription pills. Because of its many beneficial properties, turmeric is also good for the skin and helps with many different skin conditions. Pre-teens, teens, and adults can all suffer from acne, and prescription acne medication often comes with undesirable side effects. I had high school friends who suffered from acne, and their medication made their skin super sensitive to the sun. Turmeric has plenty of properties that make it the best natural solution for acne. It is antibacterial and anti-fungal which makes it perfect for cleaning the skin. It is also well known for it’s anti-inflammatory properties which will reduce the pain and redness associated with acne. (source) Turmeric may also be able to reduce the appearance of acne scars. Eczema is a skin condition that displays as inflamed, red, and itchy patches of skin. This can be a very painful condition and treatment of it can often be difficult. Some forms of eczema are genetic. Others are caused by a bacterial or fungal infection. Medications do not always work, as the true cause of a person’s eczema is hard to determine. Turmeric is a safe and natural remedy for eczema. It’s anti-inflammatory properties will reduce redness due to inflammation and relieve itchiness as well. It’s antibacterial and anti-fungal properties will also cleanse the skin and keep it free from infections. 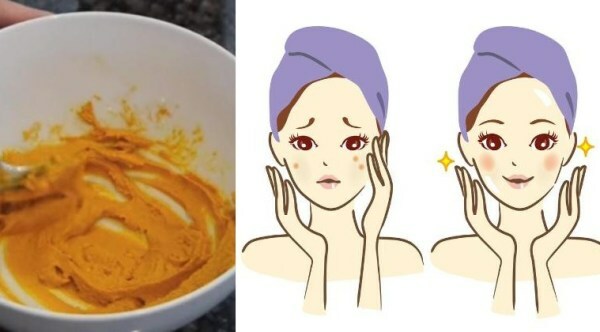 People also use turmeric face masks to lighten dark circles, remove age spots, and keep the skin healthy!